Getaway to a Southern Michigan Bed and Breakfast in the Spring Summer, Winter, or Fall. Seasonal activities are always available at our member inns. Anytime is a good time to getaway with the one you love. Whether it’s a birthday, anniversary, holiday, or much needed retreat, our innkeepers can help you plan a spectacular getaway any day of the year. 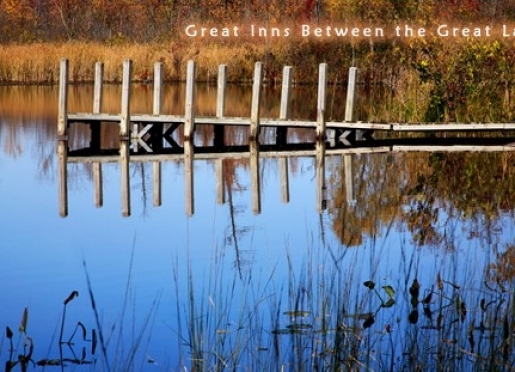 Many inns are located within 2 hours of Detroit, Grand Rapids, Fort Wayne, and Toledo. Most inns are less than a tank of gas from Chicago, Cleveland, Dayton, Columbus, and Indianapolis. Discover romance, luxury, and history during your stay at the Southern Michigan Bed and Breakfast Association, a group of B&B Inns specializing in lodging, weekend getaways, romantic packages, family recipes, gourmet food, outdoor recreation, relaxation and your vacation enjoyment. Book your reservation today to gain access to beautiful Amish Country, wine tours, lakes, rivers, kayaking, fishing, boating, skiing, restaurants, shopping, and antiquing, all within a few miles of your Inn of choice. Our innkeepers pride themselves on making your stay one of the best and most memorable that you've ever had, and will help you put together the package that's right for you. Whether it is focused on the outdoors, relaxation, retreat, or romance, our knowledgeable innkeepers can help make all the arrangements. At the Southern Michigan Bed and Breakfast Association, you are taking a step up in lodging accommodations from traditional hotels and motels. Escape your same old routine and try any of our wonderful member inns any day of the week. Innkeepers are very knowledgeable in the art of romance and hospitality. We can help you plan a spectacular weekend that will leave your mate wondering where you got all these romantic getaway ideas. Or plan a getaway for yourself to relax, read a book, explore a new town, or just take a day off. Many B&Bs also offer luxurious setting for small weddings. Some inns allow guests to travel with small pets. Vacation in Southern Michigan and enjoy diverse settings from exciting urban mansions, to quiet country estates, to luxurious lakeshore retreats. Many inns are conveniently located close to colleges and universities. Every inn has physical differences, but all pride themselves on hospitality. All of our innkeepers strive to make your getaway to Southern Michigan a memorable experience. Special events include weekend romantic getaways, dinner packages, wine pairings, murder mystery dinners, outdoor activities, private parties, tours, massage and spa packages. Many events can be reserved on the weekend of your choice. Some events are scheduled on specific dates where you join in a particular theme event with like-minded travelers. 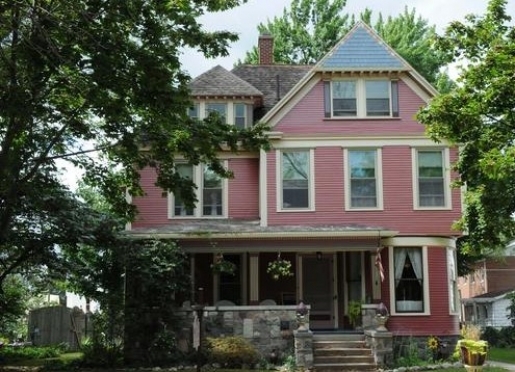 Travel to Michigan to enjoy these Bed and Breakfasts and Country Inns. Our member inns are located in Southern Michigan in a corridor North of the Indiana/Ohio border and in the Southern third of Michigan. Popular destinations within minutes of member inns include Ann Arbor, Battle Creek, Jackson, Kalamazoo, Lansing, Marshall, and Saugatuck, plus Shipshewana and South Bend, Indiana. Whether for events associated with Albion College, private family affairs, Michigan International Speedway events, Michigan’s Wine Country tours, or personal time away, ALBION HERITAGE BED AND BREAKFAST is your place to call home. With the finest of amenities; Queen-sized beds, King-sized beds, or Twin beds, each with private baths, shower massage jets, towel warmers, cable TV/DVD/VHS/CD, wireless Internet connectivity, and gourmet breakfasts, ALBION HERITAGE BED AND BREAKFAST cannot be beat. 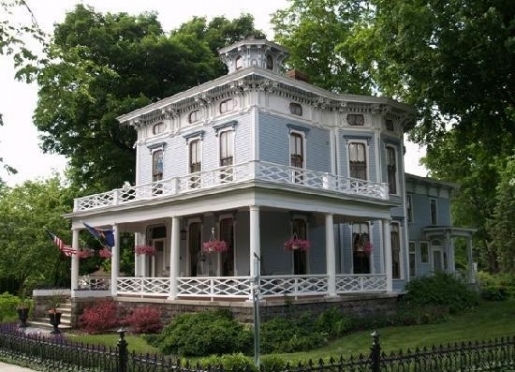 Escape the hustle and bustle of everyday life and take a step back in time to a quieter, elegant era at our lovely South Central Lower Michigan Bed and Breakfast. The Palmer House Inn is an elegant 1880’s Victorian Mansion located in Albion, Michigan. Six guest rooms are decorated in 19th century style with vintage furnishings and 20th century luxuries like central air, Jacuzzi baths, phone, wireless internet, and cable TV. Sip a glass of wine on the wrap around porch, schedule a Spa package designed to meet your individual needs, or close the door to your own romantic suite, and wake in the morning to the scents of a gourmet breakfast made just for you. 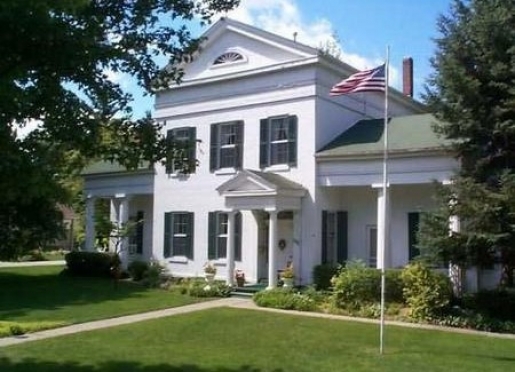 When looking for a Michigan bed and breakfast, the DeLano Mansion Inn stands apart from the rest. Located in central Southwest Michigan in the charming small town of Allegan, we offer superior lodging in the Saugatuck/Douglas and Holland areas. At our Brooklyn, Michigan bed and breakfast, feel free to use some or all of the many provided amenities, including a paddleboat, canoe, grills, picnic tables, bonfires, horseshoes and croquet. There are eighteen acres to wander and a picnic area by the lake shore. Guests can return to the days of old and relax in an aura of yesteryear - a time of lamplight and lace, love songs and flowers, picnics and sunsets. Our Irish Hills bed and breakfast guest rooms feature comfortable country Victorian decor. A large deck and glass enclosed porch, with a view of the lake, provide a pleasant place to enjoy breakfast or just relax. Other common rooms include a parlor with piano and a sitting room with a bay window overlooking the lake. As you arrive at The Legend Inn you will feel the stress of everyday life escape you. We will pamper you throughout your stay with us. The Inn was built in 1898 by Ben Skinner after returning home from the Civil War. The farm has been owned and operated by the same family for over 100 years and continues to be a working farm today. A full country breakfast will be served in the formal dining room each morning. Enjoy homemade snacks throughout the day. Have your first cup of coffee on our porch or gardens. You will have five rooms to choose from. Each has a private bath, TV and wireless internet access. Four rooms with Queen size beds and one with twin beds. Our Spicerville Suite has two rooms and sleeps up to four people. The rooms are furnished with antiques that are original to the homestead. Our customers say our Saugatuck area bed and breakfast is the best-kept secret in South West Michigan. 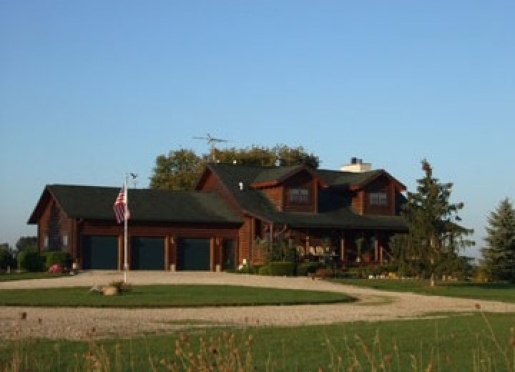 We are just minutes from Lake Michigan, wineries, orchards, rivers, canoeing, horseback riding, winter sleigh riding, downhill & cross-country skiing, hiking, and so much more. At the end of a fun-filled day, relax with an in-house massage. The Inn is centrally located to Holland, South Haven, and Allegan, and it is just 10 minutes from Saugatuck and Douglas. 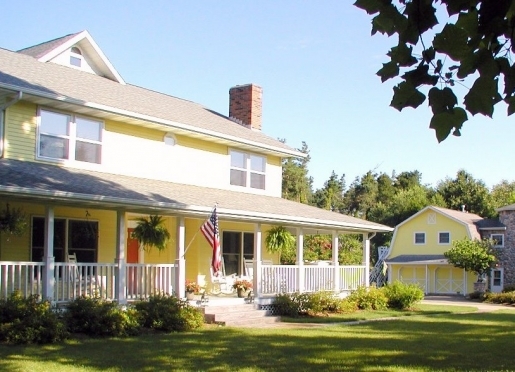 We would like to cordially invite you to share our relaxing Saugatuck, Michigan area bed and breakfast. There are many exclusive extras, from fire places and Jacuzzi tubs to wine and desserts. Come partake and enjoy the area's many activities for an excellent getaway, romantic or otherwise. You can just stay at the Inn and read a book, or have some popcorn and watch a movie, selected from the many DVD and VHS that we offer our guests. Fresh coffee, teas, and a variety of chocolates, and endless cookies are always available. The large log sign for Quigley's Log Home, at the corner of U.S. 127 and Packard Road, marks the beginning of your memorable Bed and Breakfast experience. Innkeepers Jack and Choyce Quigley welcome you with a warm "hello" as you walk up the winding path to the front door of their lovely log home located on 40 acres in a beautiful country setting. The great room with its massive stone fireplace features a wrap-a-round loft that contains the Strayer and Quigley Rooms. These rooms have private baths and a cozy common area for kicking up your feet to read and relax. Our family suite on the lower walkout level has the Webster Room with twin beds and the Barnes Room with a queen size bed and a trundle bed. The Most Comfortable Lodging in Southern Michigan" is at the historic Munro House, the original Jonesville Michigan Bed & Breakfast. Travel to Michigan for a getaway vacation in the oldest house (1834) and first brick building (1840) in Hillsdale County. This historic Greek Revival Mansion was once a Station on the Underground Railroad and is the oldest Southern Michigan Bed and Breakfast that was originally built as a private residence. Our Pre-Civil War home is located along the Old Sauk Trail (U.S. Highway 12) in downtown Jonesville. Relax in one of seven unique guest rooms, enjoy on-site massage and spa services, play our baby grand piano, or spend time in our library with a book, a video, or "the boys" (our resident Scottish Terriers). Unwind in one of our five wonderful suites. Whether you take the toll road or drive the back roads of Northern Indiana, when you arrive at McKenzie House you will find a peaceful and relaxing environment that you will want to experience again and again. We think you will agree with those who have said "we must do this again" - coming back to McKenzie House to celebrate all the special events of your life or just for no reason other than pampering yourself and someone you love. You will know the minute you arrive on the tree lined property that you have come to the right place to unwind - from the beautiful main house with its wrap around porch, to our unique carriage house with stone silo, to the many common areas designed for your comfort and relaxation. 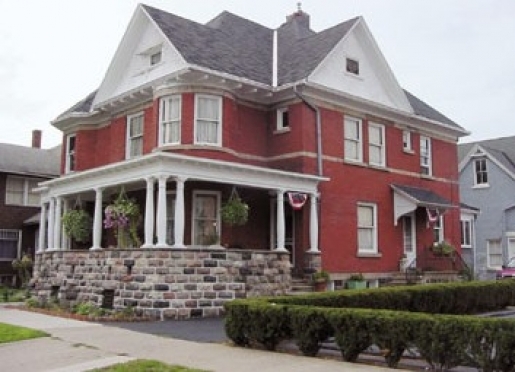 The Barrett Place Bed and Breakfast Inn is located on a quiet street in the west side of Niles, close to the major highways that lead to the various events and activities in the area. Notre Dame University (and stadium) is ten miles south. Andrews University is thirteen miles to the north. The Lake Michigan shoreline is about twenty five miles away. We feature three spacious lovely rooms, two complete baths, a beautiful dining room and a comfortable living room with television and fireplace. We also offer a complete breakfast. We have special packages for Notre Dame home football games as well as local graduation events and orientation activities. Take a step back in time and enjoy the beautiful craftsmanship of yesteryear! Built circa 1888, this romantic brick Victorian home offers six guest rooms, each with its own distinct personality as well as private bath. A continental breakfast is served during weekdays but a full breakfast is served on the weekends. The Brickhouse is open year-round to serve its guests with a truly affordable luxury. Located in the beautiful Irish Hills of Southern Michigan, the rich rolling farmland is home to abundant antique shops, orchards and vineyards, golf courses, and great fishing in numerous lakes (with public boat facilities). Michigan International Speedway — site of several seasonal NASCAR races — is conveniently located just down the road. Voyager's Inn Bed & Breakfast: A Beautiful Queen Anne Victorian "Painted Lady" (c. 1898) The Only B&B In Historic Downtown Three Rivers, Michigan. 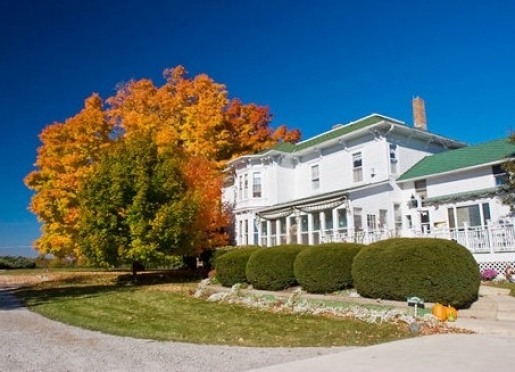 Close to Amish country, great antique markets, beautiful lakes and rivers for boating and fishing, fabulous farmer's markets, hiking and biking trails, skiing, wineries, and more, Voyager's Inn B&B is the place to be for your "Southwest Michigan Getaway" headquarters! Voyager's Inn is also convenient for the business traveler who is tired of hotels in the Three Rivers area. The homey atmosphere and gracious hospitality at Voyager's Inn make it a great "home away from home" in Southwest Michigan, complete with competitive rates, free high-speed wireless internet, and an amazing hot breakfast to start the day. Just a short distance from the Michigan - Indiana border, The Union House is located on US Highway 12, a major thoroughfare crossing southern Michigan. Our guests enjoy the elegant beauty of European antiques, down comforters, memorabilia from every continent, rooms with private baths, air conditioning and Wi-Fi access. There is a private guest parlor for socializing or to enjoy TV, games and reading material from around the world. For guests interested in the great outdoors, we have 5 acres of wooded property with a nature path and secluded coves with benches. Guests have access to a large patio area for personal Bar-B-Q's. Requirements: Members must be located in Michigan - South of Holland, Lansing, and Detroit and must be open year round. Membership includes a web page for your inn on the SMI web site, assessment collection ($1 per occupied room), monthly meetings and networking. networking, and professional development opportunities to its' innkeeper members. Service to enhance the customer's inngoing experience. Integrity to serve the customer in a professional manner. Diversity to broaden the scope of innkeeper's knowledge. SMIBBA exists for support and mentoring of fellow innkeepers. mutual benefit and positive progress of all members. SMIBBA provides a well maintained website and a regularly updated printed brochure to actively promote the group as a whole.